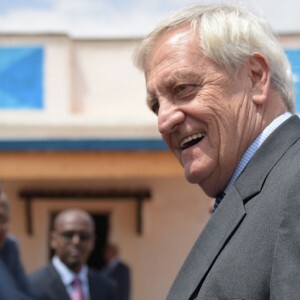 The decision by the Somali government to expel United Nations (UN) Special Envoy to the country Nicholas Haysom last week speaks volumes about why Somalia is struggling to achieve political stability and peace. Mogadishu declared Haysom, the South African lawyer and seasoned diplomat, persona non grata on 1 January, thereby forcing UN Secretary-General António Guterres to replace him. Ultimately Haysom lost his job because the federal Somali government insisted on hoarding power to itself in what is supposed to be an autonomous federal member state. Haysom, who had only been in the post for three months, after a successful stint as UN Special Envoy to the Sudans, was thrown out because he criticised President Mohamed Abdullahi ‘Farmajo’ Mohamed’s government for arresting Mukhtar Robow, a candidate in the presidential elections last December in Somalia’s South West State. Robow is a former deputy leader of al-Shabaab, the violent extremist group that the Somali government, assisted by the African Union Mission in Somalia (AMISOM) and others like the US, have been fighting for years at great cost in blood and treasure. After many clashes with other leaders of the organisation, Robow defected from al-Shabaab in 2017 and entered mainstream politics last year. This was in part from principle, perhaps, but also for government protection against al-Shabaab which had put him on its hit list. The federal government in Mogadishu secretly negotiated his defection and initially welcomed him. But after he announced his intention to run for president in South West State – against Mogadishu’s preferred candidate – the federal government first tried to discourage him and then arrested him. This provoked rioting by his supporters in Baidoa, South West State’s capital, which security forces violently suppressed, leaving at least 15 dead. Haysom wrote to the federal government on 30 December requesting an investigation of the protest violence and information about the legal basis for arresting Robow. On 1 January the government reacted by informing the UN that Haysom was no longer welcome in the country. Somalia’s UN ambassador Abukar Dahir Osman later told the UN Security Council during a debate on Somalia that the UN shouldn’t interfere in his country’s national affairs. Former al-Shabaab militants ‘cannot assume leadership positions without going through stringent established rehabilitation programmes’, he was reported as saying, adding that a ‘terrorist’ should not be allowed to rebrand himself as an ‘ice cream salesperson’. In his briefing to the Security Council two days after he was expelled, Haysom welcomed encouraging signs of economic revival, improvements in public financial management and some technical progress in preparing for elections, including the national poll next year and in the constitutional review. But he also underscored fundamental and serious political tensions and conflicts, particularly the stalemate between the federal government and member states. He said this was impeding vital progress in defining the federal model, building institutions of state, and implementing the National Security Architecture. The conflict between the federal centre and the peripheral member states risked provoking conflict, he added, citing the violence in South West State last December as an example. This last sentence was the gist of his message. Haysom knows what he is talking about when it comes to converting militants to peaceful democrats, having contributed substantially to transitions from chronic conflict to peace and stability in countries like South Africa, Burundi and Sudan. As he told the Security Council, al-Shabaab remains the major threat to Somalia’s stability. Despite having been defeated on the conventional military battlefield, it is still inflicting huge casualties through terrorist attacks, mainly killing and maiming civilians. Al-Shabaab cannot ultimately be defeated militarily and so coaxing its leaders and followers to abandon violence is critical to the country’s future. So Mogadishu ought to have nurtured Robow as the trophy in its campaign to inspire defections and a fine example for others to follow. Omar Mahmood, senior researcher for the Institute for Security Studies (ISS) in Addis Ababa, observes that in the short term Mogadishu achieved what it wanted as its preferred candidate was elected in South West State and Haysom replaced. Akinola Olojo, also an ISS senior researcher, agrees the incident has serious implications ‘because not only will the mishandling of Robow’s case discourage others who may be considering defecting from al-Shabaab; it risks reinforcing anti-government sentiments and narratives among the younger population from South West State and beyond’. The suggestion from Mogadishu that Robow was a Trojan Horse, pretending to have renounced violence in order to reintroduce it surreptitiously, seems disingenuous. It is however possible some of Somalia’s regional and international allies were not comfortable with a former al-Shabaab deputy leader in such high office. The more plausible explanation, though, is that Farmajo’s government arrested Robow simply because he was too independent. He refused to give way to the Mogadishu-backed (and therefore presumably more pliable) candidate for the South West State presidency, former federal energy minister Abdiaziz Hassan Mohamed – who indeed eventually won. This obsession with control, as Haysom hinted to the UN, is jeopardising efforts to tackle al-Shabaab both directly – in discouraging further defections, and indirectly – in undermining the construction of a viable federal state, which must rest on real devolution of power. Somali soldiers, AMISOM troops and ordinary citizens do not deserve to die violently while their government is actively undermining the prospects for peace.